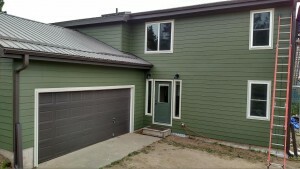 DJK Siding & Construction is proud to be Colorado’s top rated siding contractor. We take our business —and our customers— very seriously, which is why we strive to offer the very best siding products in the industry. If you browse through our service and product pages, you’ll notice that we offer siding for any taste or budget, from aluminum to vinyl, but we consider our James Hardie fiber cement siding to be the gold standard for homes in Denver. If you’ve only recently begun shopping for siding contractors in Denver, you might be surprised to hear there’s a fourth alternative to wood, vinyl, and aluminum. Rather than the traditional “planks” that you see used with other types of siding, fiber cement is actually a composite material made of sand, cement and cellulose fibers. Because it’s both hail and fire resistant, we believe James Hardie fiber cement is the gold standard in home exterior cladding, and we recommend it to all of our customers. 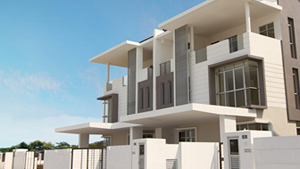 Now let’s take a look at the types of fiber cement siding that represent a safe and stylish alternative for your home. This house siding choice has the most traditional appearance. Engineered to mimic the look of natural wood boards, HardiePlank Lap Siding offers superior protection from harsh weather. Available in a variety of colors and textures, there’s guaranteed to be an option that will make your home the envy of the neighborhood. If you’d like something a little more unique, HardiePlank vertical siding is a strong choice for contemporary-style homes. Why go with the (horizontal) flow, when you can mix things up in a vertical direction? This fiber cement option packs a big visual punch that pairs perfectly with HardieTrim Boards. Shingle siding is a staple of Cape Cod-style homes, but why should they have all the fun? HardiePlank Shingle Siding is a great way to add character to your home’s exterior while making it stand out from the rest of the crowd. Available in both staggered and straight edge panels, it’s also a wonderful option for adding accents to a gable or other architectural feature. Besides offering a look that will send your curb appeal through the roof, James Hardie fiber cement siding delivers superior protection against the elements, something that’s always needed in the unpredictable climate of Denver, Colorado. “We test our products to better withstand worst-case scenarios: hurricanes, UV rays, snowstorms, and more,” promises the manufacturer, and we’ve installed it on enough homes in this area to know it’s the truth. 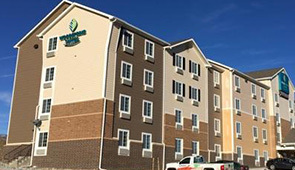 Unlike vinyl and wood siding products, which are very susceptible to temperature change and have been shown to shrink, expand, and crack over time, the James Hardie line of siding has been specifically engineered to withstand our arid summers and unpredictable winters. Interested in learning more about how HardiePlanks can make your home the envy of the neighborhood? Contact DJK Siding & Construction for a free, no-obligation project estimate today!